Redding, CA -- On August 1st, BCOE's Calkidz program and staff delivered a van-load of food to the Salvation Army. The Shasta Regional Community Foundation through its Community Disaster Relief Fund. This fund was originally created in response to the Boles Fire that devastated the city of Weed, Calif in 2014. 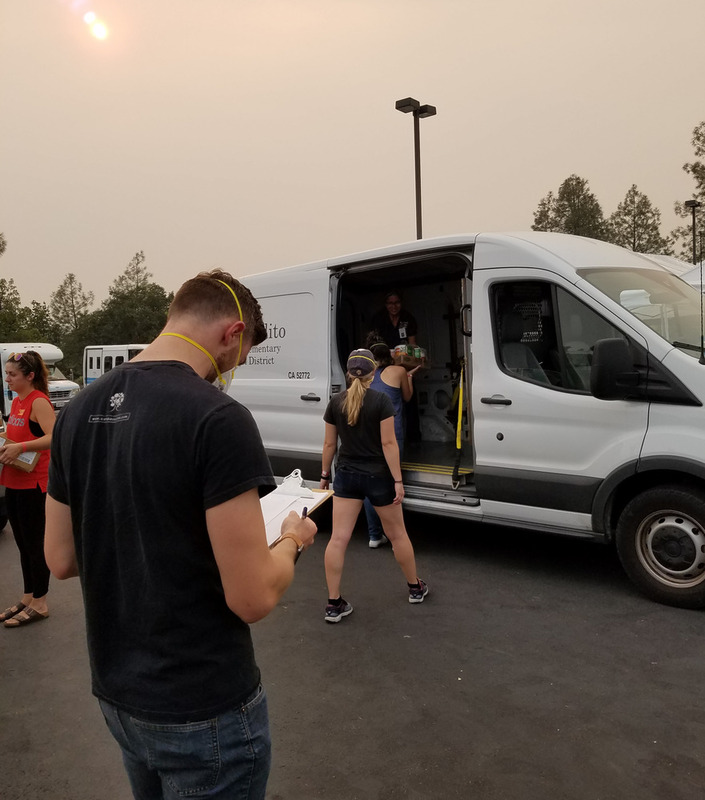 According to the Shasta Regional Community Foundation’s website, 100 percent of donations to the fund go to Carr Fire recovery efforts. Donations to this fund can be made online or you can also mail a check to: Shasta Regional Community Foundation, 1335 Arboretum Drive Suite B, Redding, Calif. 96003 ref. CDRF. The United Way of Northern California through its Shasta County Wildfire Relief Fund. You can donate on their website or text CARRFIRE to 91999. The Salvation Army through its Carr Fire Recovery Efforts Fund. Donations can be made online. They are also taking clothing/food donations, which can be dropped off at 2691 Larkpur Lane Redding, Calif. 96002. The American Red Cross, which is taking donations online, by text and by phone. Those who text REDCROSS to 90999 will have a $10 donation billed to their wireless carrier, you can also call 800-RED-CROSS to give an amount of your choice. The Salvation Army, which is taking these types of donations at their drop off location at 2691 Larkpur Lane Redding, Calif. 96002. Items will be processed, then taken to Bethel Church Redding, which is acting as the Distribution Hubfor the Salvation Army.